PS Pizza Is Now PS Italian Bistro: Here's What's New! 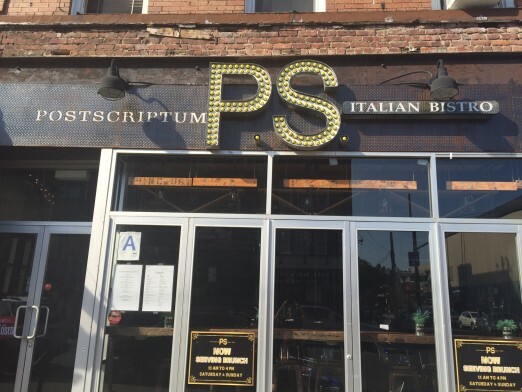 Have you noticed the changes at PS Italian Bistro, formerly PS Pizza? Since the WHA team enjoyed an awesome pizza dinner there a few months ago pre-makeover, we were very interested to check out what’s new. The headline: new hours and new menu items. They’ll now be open for lunch, from 11am-4pm Monday-Friday. In addition to offering new dishes on the menu, they’re also switching up the pizzas a little bit, creating a thicker crust and using thicker, “cheesier” mozzarella. Some new starters worth highlighting: Bruschetta, Calamari, Caesar Salad, and Caprese Salad. New main dishes include a Lamb Burger (sign me up! ), Penne Alla Vodka, Cheese Tortellini, and Chicken Franchese. PS is welcoming a new chef and a new pizza chef, and is offering new sizes for the pizzas. For lunch, you’ll be able to order 10′ pies, while for dinner you’ll have options for both 12′ and 14′. Also, the newest addition to the ‘za menu is a Chicken Parmesan pizza, which sounds fantastic. 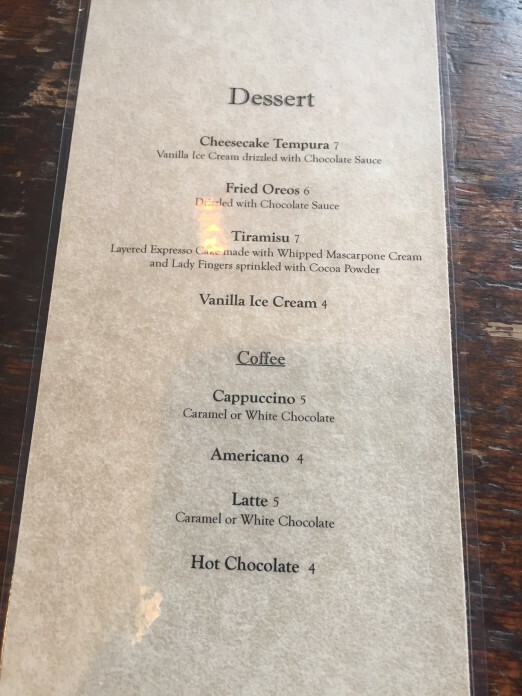 They’ve also created a new lineup of desserts that you’ll hopefully leave room for on your next visit! What do you think? Are you excited to try the new menu? They are not open for lunch. Maybe this predicts their closure, which would be good since their ideas of food and service are way out of synch with humanity’s lowest standards. 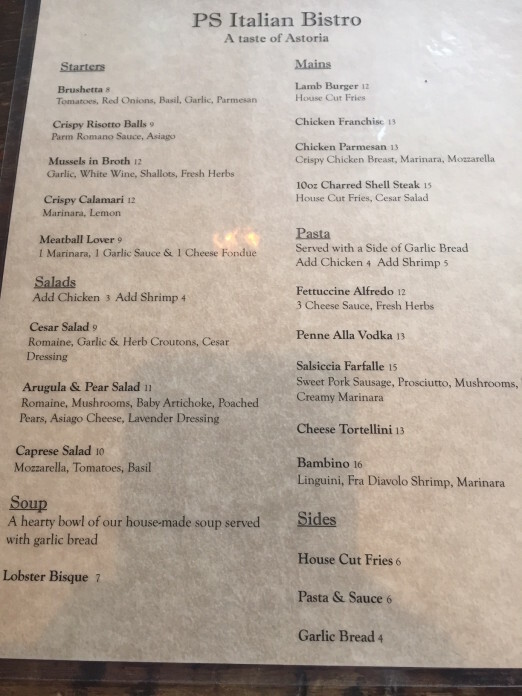 We have enough italian places…. I miss Euro Delight… we need a good crepe place in Astoria… Omonia just doesn’t cut it. I’ve had a lot of different things here. 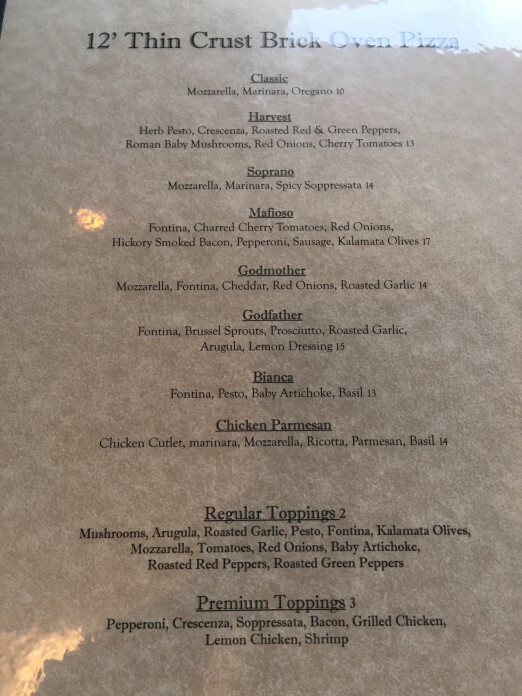 Absolutely love this place, it’s affordable and delicious, a deal in the neighborhood, although I’m more partial the thin crust and will continue asking for it off the menu. Chicken Franchise? I thought that was a few blocks down! Oh dear – it’s Chicken Francaise (or Francese). Haha I had gotten that but apparently the PS Pizza/Bistro/Identity Crisis folks haven’t yet. That being said I ate there last fall and the service was charming. For good Italian in the area, check out Portalia a few blocks down and across the street. Elegant, casual setting, excellent food, family owned and operated in celebration of combined Italian and Portuguese family roots. On the other hand, PS is good for a beer and a snack and people watching from their great window counter during happy hour.